Amtrak's westbound California Zephyr/Desert Wind is just entering the Little Ten Curve as it continues its climb of the Front Range west of Denver; the sharpness of the curve is apparent here. 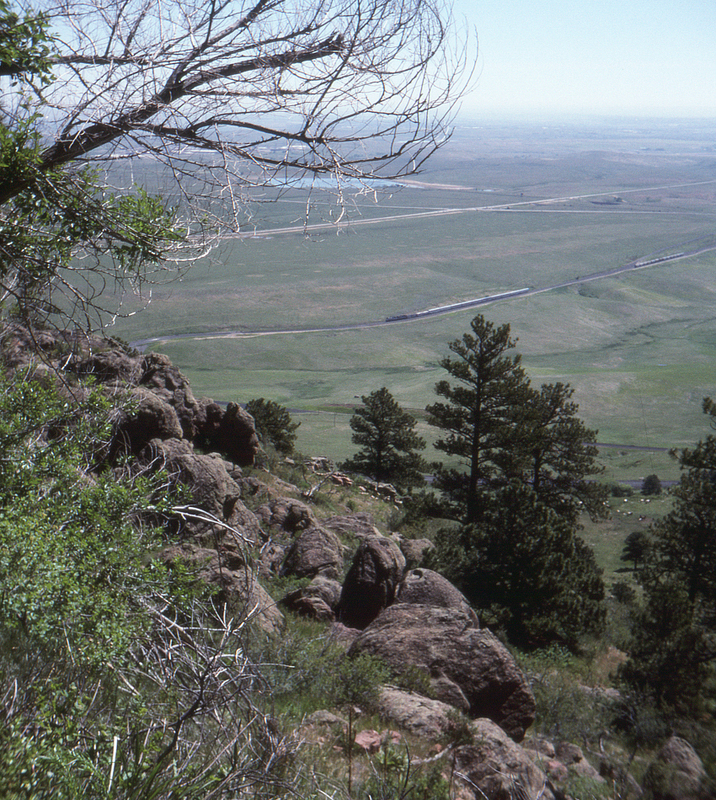 Rocky Flats Lake can be seen in the distance. This view is from Blue Mountain Road above Clay Siding.